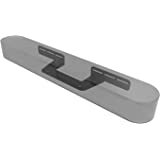 Amazon's Choice for "sonos beam"
This product has Amazon Alexa functionality built in, providing a voice forward experience that uses Alexa to play music, control smart home devices, provide information, read news, and more. 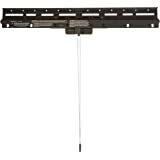 HDMI ARC. Or Optical with adapter. 2.70 x 25.625 x 3.94 in. 3.35 x 35.43 x 5.51 in. 2.28 x 28.35 x 14.96 in. 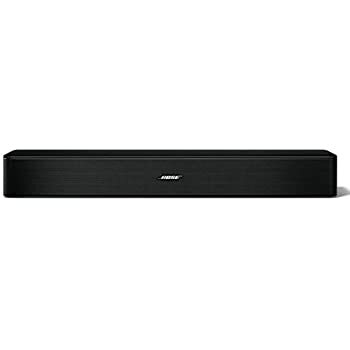 What audio content can I play on Sonos Beam? Sonos Beam plays back all of your TV audio, once setup with the Sonos app is complete. 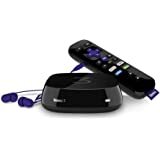 You can stream audio from TV, movies, video on demand, music, radio, video games, audio books and podcasts. 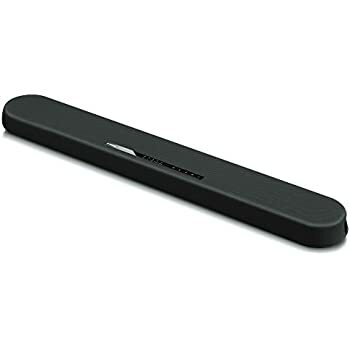 What does Sonos Beam sound like? 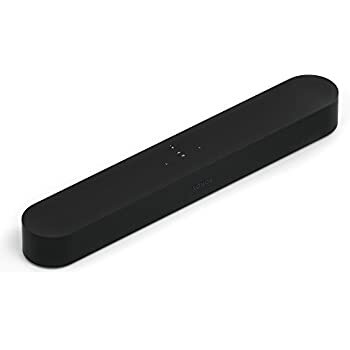 Sonos Beam has surprising sound for its size. Its soundstages are full, spacious and wider than the speaker itself, creating an immersive listening experience. Dialogue is clear. There's adequate bass performance to enrich most listening experiences. 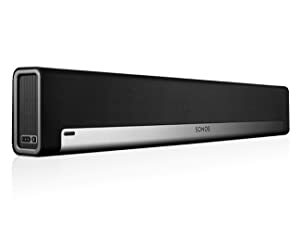 How does Sonos Beam differ from Playbar and Playbase? Sonos Beam is a more compact speaker and can fit almost anywhere. 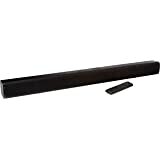 Playbar and Playbase produce louder sound with more width and bass. Beam is optimized for small to mid-sized rooms, whereas Playbar and Playbase are capable of filling large spaces. How does Sonos Beam work with Amazon Alexa? Sonos Beam supports most voice commands with Amazon Alexa. These include commands to start music and content with Spotify, Tunein and Audible; commands to control other services started with the Sonos app, plus requests for popular Alexa features. 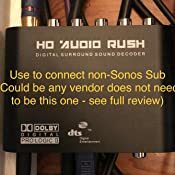 Does Beam pair with other Sonos speakers for surround sound? Yes. 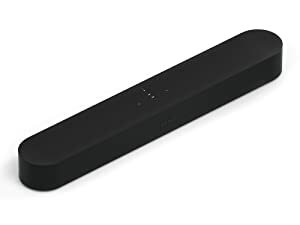 While Sonos Beam is a great soundbar on its own, it also wirelessly pairs with our Sub for added bass and a pair of Play:1 speakers for full surround sound. A setup with left and right rears and a sub gives you true 5.1 surround sound. 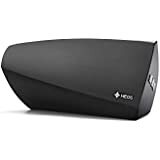 I have a LG OLED and beam and have the Dolby Digital audio processing lag over ARC and Optical output that is mentioned every day over on the Sonos Community Forums. Seriously, it's the top post in Home Theater on the Sonos furms. The Beam suffers from a .4s audio lag behind the video when playing Dolby Digital audio. It's heavily noticeable. 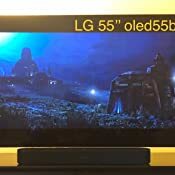 The beam simply doesn't work with LG OLEDs and/or certain Sony TV's. This is a HUGE caveat and hopefully people read before buying. IMO, Sonos rushed this product to market. They make great music speakers but aren’t ready for TV speakers. Incompatibilities with top brand TV’s is pretty unreal in this day and age. Especially for a high end product like this. The other issue I have is codec support. Sonos has DD support and literally nothing else. It’s really pathetic. Every other sound bar manufacturer has more than 1 codec support. Dts, Vision, atmos, DD+ should all be supported these days. All of them are heavily used in industry. 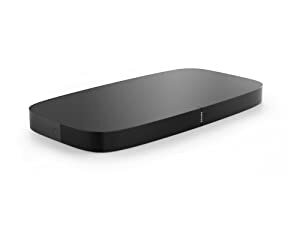 The current solution according to the Sonos forums is buying additional aftermarket equipment (an hdmi optical splitter $50) and completely bypassing the LG OLED. This fixes the lag issue but then it completely breaks Netflix and Amazon Prime Videos which uses DD+ for their high end videos. Everyone watches Netflix these days but guess what Sonos doesn’t support DD+ and since you’re now bypassing the TV it wont convert the DD+ to DD and u get no sound or u have to go into the settings every single time u play something and change it to stereo. 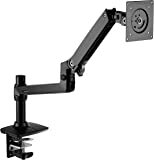 This solution also removes ARC and CEC support one of the biggest selling points of the Beam. The other solution I see around is forcing to PCM which is stupid cuz you lose Dolby digital altogether and just bought a 400 speaker that now only supports stereo which u can likely get for less than a hundred dollars. The speaker sound is great but the # of compatibility issues and workarounds needed to get this to work is absolutely insane. People say it’s not rocket science. But I’m literally a NASA rocket scientist and even I can’t get this to work properly. I really hope people read this comment before purchasing. I wish i had known a lot of these issues beforehand. First, being a professional music with very picky ears, I have to say that Sonos REALLY knows how to make a good sounding speaker. Yes, they're pricey, but you really get what you pay for. 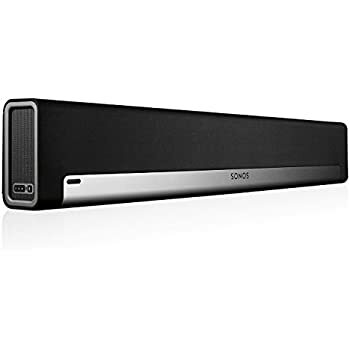 I had already purchased two Sonos One speakers for music and loved them. 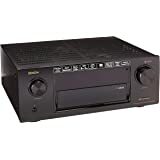 For my TV sound I had a full 5.1 system with AV receiver, subwoofer, front and rear, center speakers. LOTS of stuff taking up LOTS of space. The sound was fantastic, but I have a small condo and it was way too much for the space. I was able to eliminate everything with this little Beam speaker. I paired it with with my two Sonos One speakers and the surround sound is almost as good as my full 5.1 previous system. I am THRILLED with the change. No, the bass isn't as full as it was on my huge Velodyne 12" subwoofer, but it's certainly good enough for my room. I get a nice surround separation with the two Sonos One speakers placed a good distance to my left and right in corners of the room. 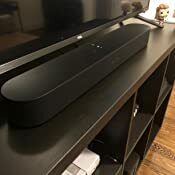 One KEY thing I also learned was that in the Sonos settings, you can adjust the room settings so that the TV and Music use the speakers differently. When I played music after adding the Beam, it used the same surround separation as the TV, the default setting. 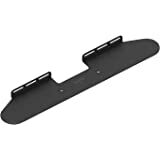 I really missed the full deep music sound I used to have when I just had the two Sonos Ones, since the TV sound automatically puts most of the focus on the Beam front speaker. I stumbled across the room adjustment "Ambient" surround setting when you can adjust it for TV and Music separately. I adjusted the balance for Music so it it would come mostly from the Sonos One speakers again. Eureka!! Big full beautiful music sound again. The speakers know when I play the TV, to use the full surround, but when I put music on, it uses the Music setting for more Sonos One use. LOVE IT!! I can't say enough about how fantastic these speakers sound. I LOVE how little space they take but how BIG and full the sound is. Highly recommended! 5.0 out of 5 starsGreat speaker! +Reuse old subwoofer tip! 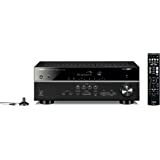 I replaced my legacy Paradigm speaker system and Yamaha receiver that originally cost $$$ with the Sonos Beam and two Sonos Play:1s. I couldn't be happier! I'm using it with an LG oled55b7p (shown in my photo). 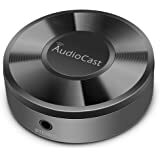 Audio: It sounds great! The late night setting (voice boost and lower loud noises) is very helpful. The native Apple Airplay streaming without the need for the Sonos app (it allows streaming collectively to the Play:1s also) is a great bonus also. 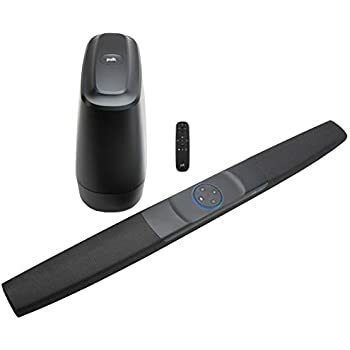 Alexa: For those of you wondering, if you do not wish to integrate with Alexa you just skip that part in the setup and the microphone is never connected. 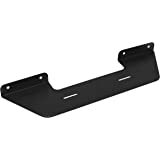 Reuse your old non-Sonos subwoofer tip!! 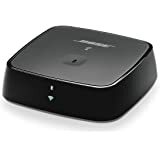 I get that the Sonos ecosystem just works and they want you to buy their subwoofer and thus they have no subwoofer out jack (you need to use their wireless sub). 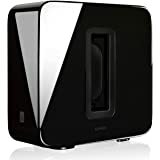 However, if you already have an existing sub woofer, like I do, it's a shame to waste it. I've come up with a great solution. 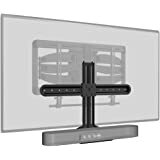 Since the Beam uses HDMI for its audio your TV likely has a free optical out port. 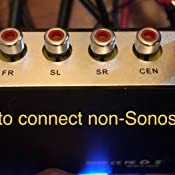 Using the optical out port connect a 5.1 Audio Sound Decoder Converter to 5.1CH Analog Audio (6RCA Output). 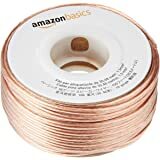 I used this one here: https://www.amazon.com/dp/B01MS0973G All you need to do is connect your RCA cable to subwoofer connection on the box and you have bass for under $50!